The Department of Communications and Agricultural Education is exceeding its goal on increased student numbers based on its K-State 2025 plan. We’ve experienced a 13 percent increase in student numbers, thanks to recruitment by friends, alumni, students, our faculty and the College of Agriculture. In addition, we have focused recruitment on underrepresented students and have had some success in this, but it an area of need. 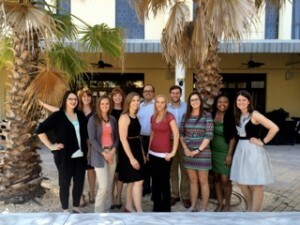 Undergraduate and graduate students represented the Department of Communications and Agricultural Education at the 2015 Association for Communication Excellence (ACE) conference in Charleston, South Carolina. Nine students presented research papers, posters and workshop activities, ranging from revamping educational videos in YouTube to determining the organizational identity of K-State Research and Extension. Ten attending students and their advisor pose for a group photo before the conference social event. The College of Agriculture welcomed members of the Kansas FFA Association to campus for state career development events (CDE) and 2015 Annual FFA Convention. 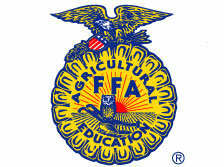 Kansas State University hosts the Kansas FFA Association’s state CDEs and convention, and welcomes more than 1,500 FFA members to campus each year. The Fall 2015 issue of the Kansas State Agriculturist will be making its way to the printer next week. This will be the 61st volume of the magazine to be published since December 1969. Four faculty members in the Department of Communications and Agricultural Education attended the American Association for Agricultural Education National (AAAE) Conference in San Antonio. 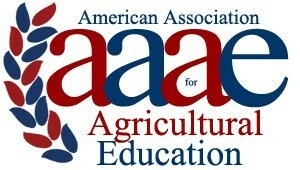 This year’s conference focused on sharing agricultural education research and innovation.